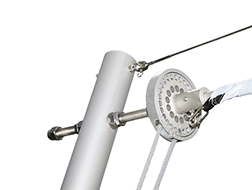 In order to provide the sail with the best possible protection in the event of sudden overloads such as gusty winds of more than 40 km/h, the auto-release clamp will provide slack to the sail. 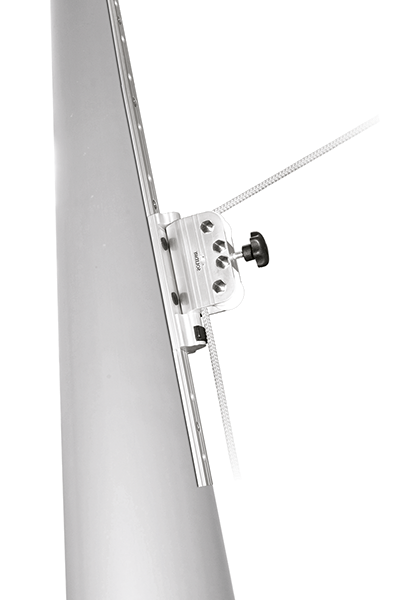 This will prevent the sail from being damaged. 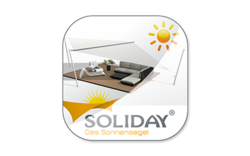 With the patented SOLIDAY height adjustment system, the slope of the sunsail can be adjusted to the angle of the sun within a 1.5 m range. 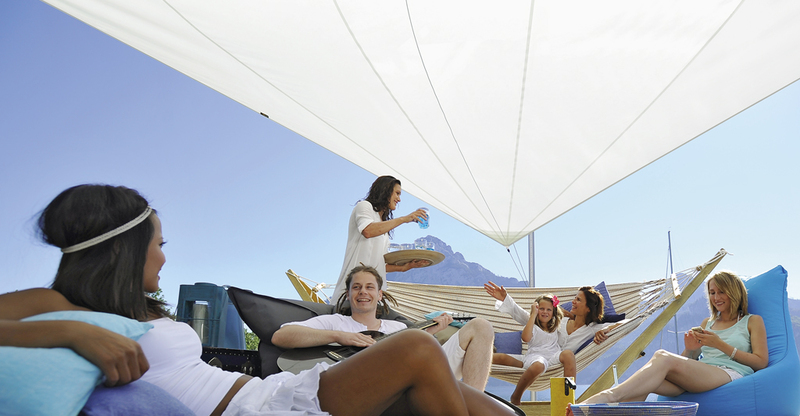 High-performance, high-end sunsail fabrics for the highest demands! 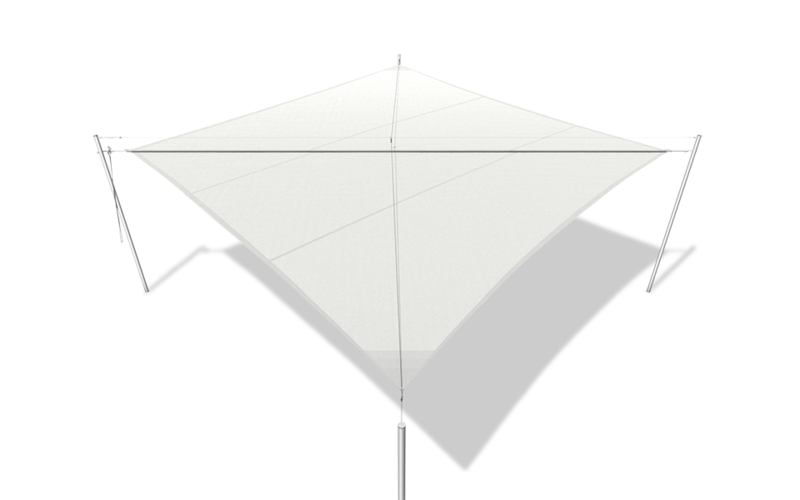 The tension set makes it possible to create all shapes of sunsails, and allows the sails to be rolled up without creasing. 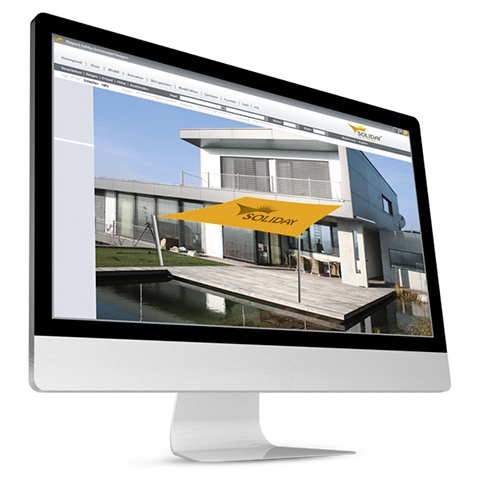 This in turn gives you the opportunity of customizing your sunsail to match the architecture of your building. 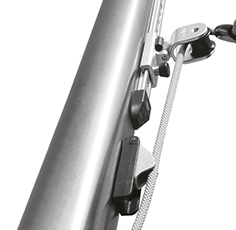 The special “SOLIDAY-Welle” shaft allows the sunsail to be quickly and easily rolled out and in by hand by means of a cable. 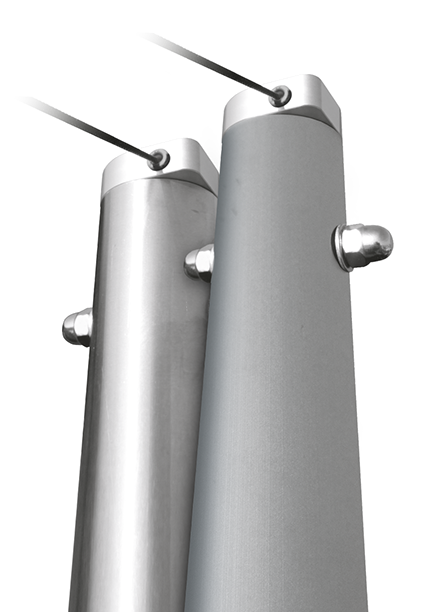 By means of our special SOLIDAY-shaft, the sunsail can be rolled out and in manually. 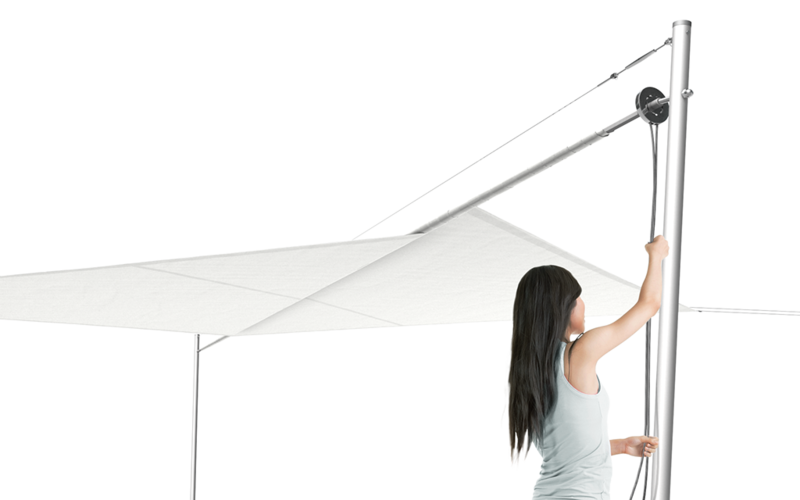 This allows for continuous shade adjustments ranging from 0 – 65 sqm. 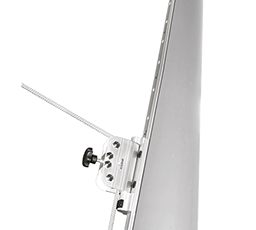 The height adjustment system is mounted on a glide rail made of aluminium, allowing for continuous adjustments within a range of 1.5 m. This is especially important as the sun gets lower in the sky during the late afternoon. 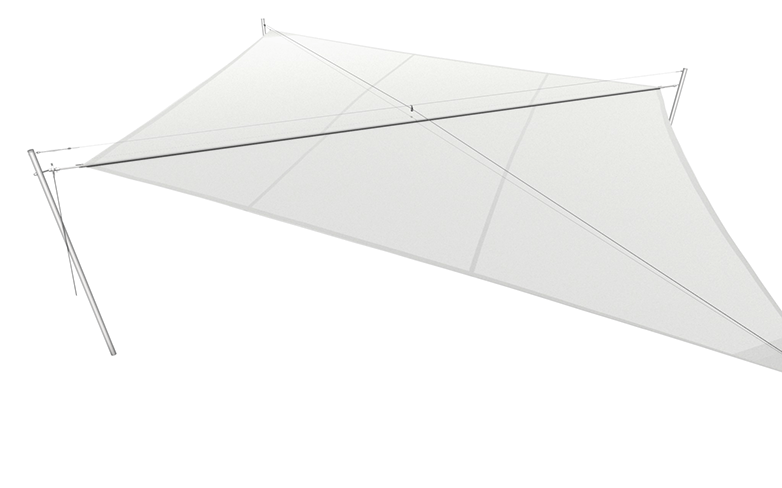 The tension set enables us to make all shapes of sunsail, and makes it possible to roll up sunsails without creasing. 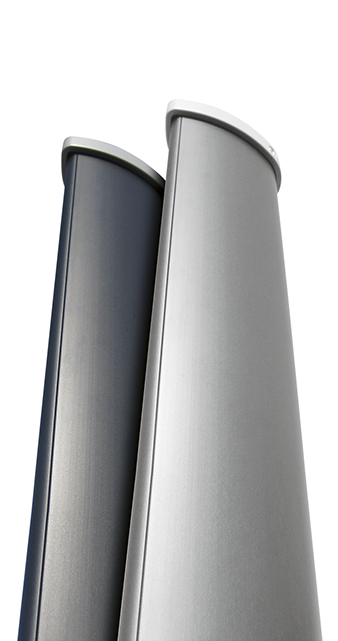 Which in turn means, each sunsail can be custom tailored to the architecture of your building. 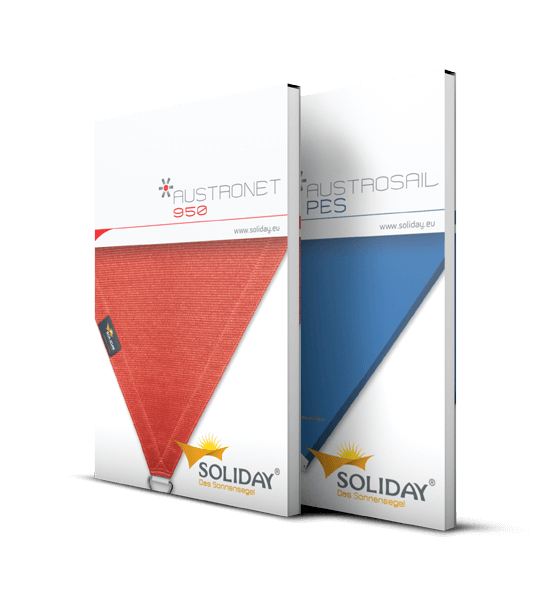 SOLIDAY offers the perfect sunsail fabric for every purpose and all demands, including AUSTRONET 940 and AUSTROSAIL PES – in a wide variety of colors, and for whatever the wind or weather might bring. 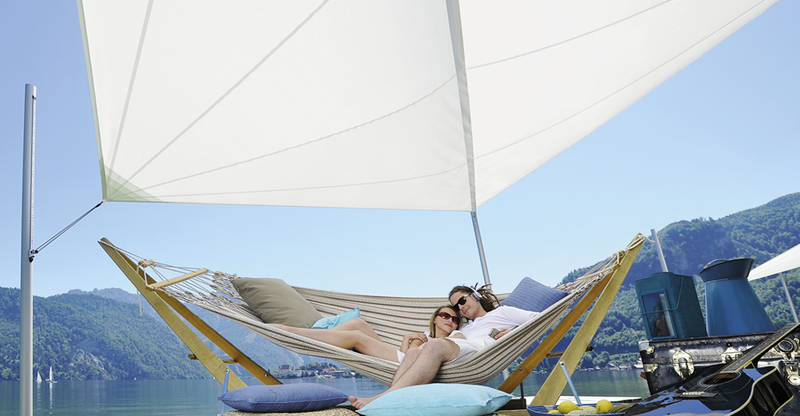 The fabric quality is long-lasting and easy to care for, not only giving perfect protection from harmful UV radiation, but also preventing glare and providing privacy. 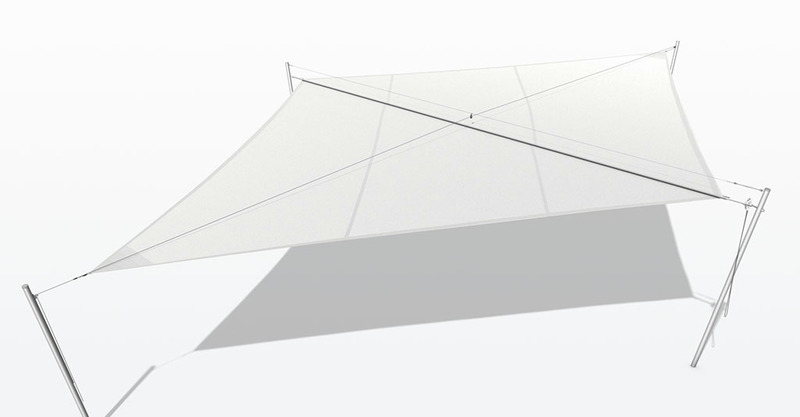 Every SOLIDAY sunsail is individually designed for you by our planning professionals. 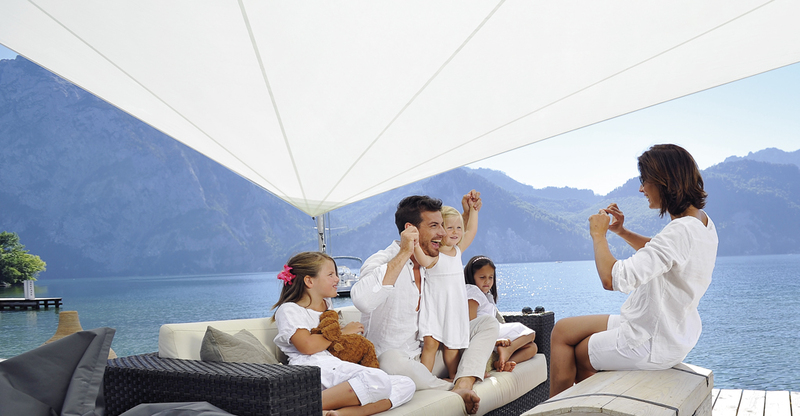 With the help of specially developed software, we are able to help you visualize your sunsail dreams. 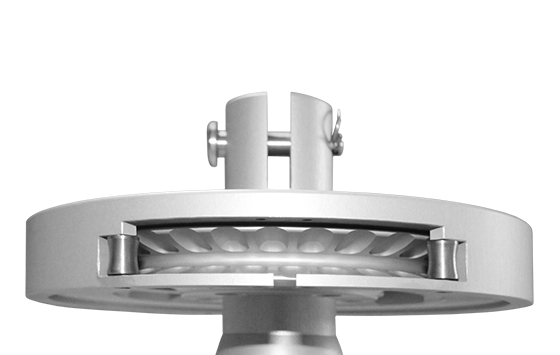 The spool is used to help roll the sunsail out and back in. 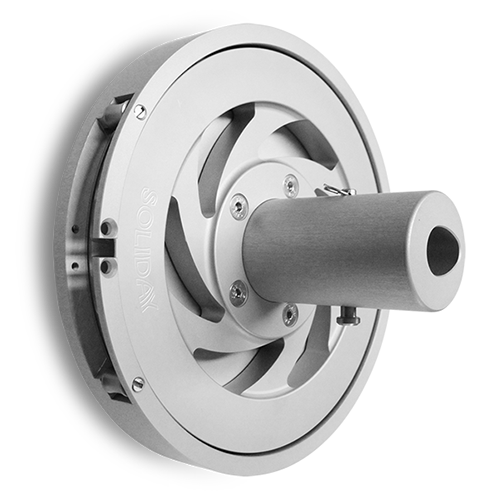 The spool is made from high-quality aluminium and features a simple, stylish design.